In this blog post, let’s take a look at how you can get started with each. 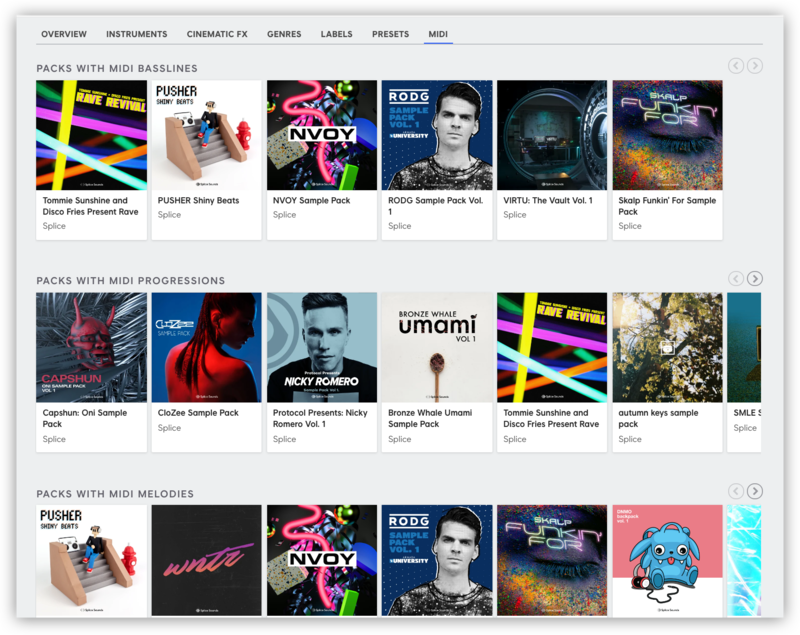 This will direct you to a page where you can view a curated collection of packs, categorized by whether they contain MIDI basslines, chord progressions, or melodies. 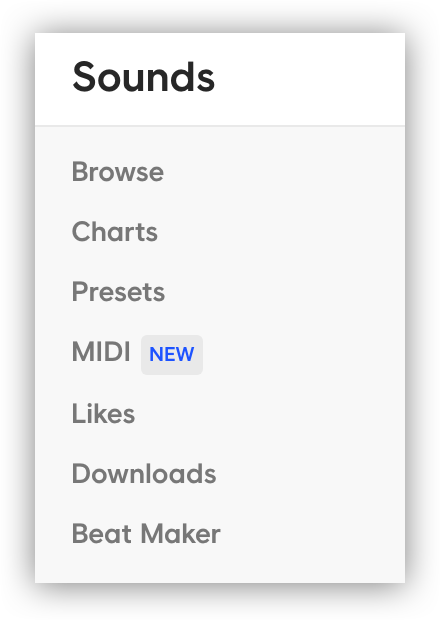 You can click on any pack to be brought to its page, where you can preview and download the MIDI files using your Splice Sounds credits. 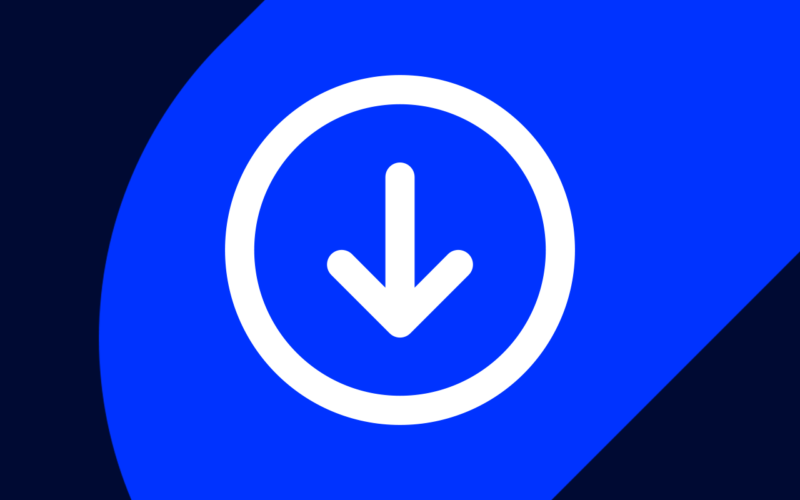 Note that the MIDI files won’t download to your Splice desktop app – rather, they’ll download via your web browser. Try downloading some MIDI on Splice Sounds here. 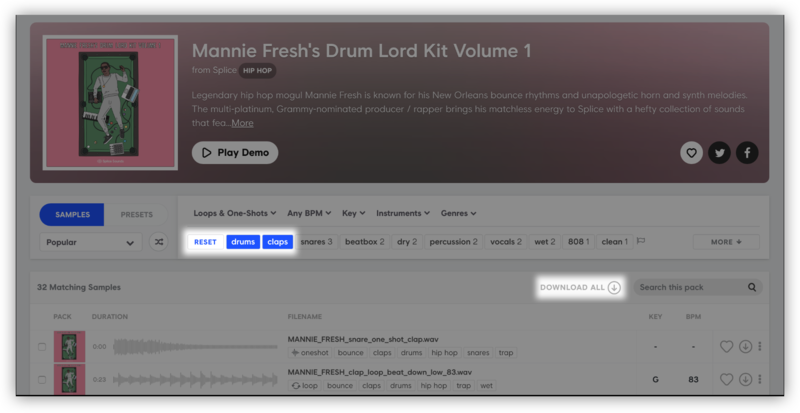 Another subtle but heavily requested feature we’ve brought to Splice Sounds is the ability to downloaded samples in a pack within a filtered result. In other words, you can now use tags and search terms to filter the sounds that you want within a pack, and then download all of them in one easy click with the “DOWNLOAD ALL” button. This can be a huge timesaver if you’re looking to download all of the female vocals in a pack, every sound that includes the term “retro” in its filename, etc. Try out filtered downloads on Splice Sounds. Do you have any questions about MIDI start points or filtered batch downloads? Let us know in the comments below.